What is a console, exactly? Well, it is a computer. Unlike the standard computers of today, however, the console is a stable, specific, static configuration of parts, optimized for playing games. Because the parts and specifications are known and well documented, developers are free to cater their coding styles to the environment. This allows them to produce code that runs smoother and looks better than anything they could achieve on similarly equipped PC. That’s just the nature of specialist hardware. It will ALWAYS outperform generalized hardware at the task it was built to do, so long as it was well designed. Since they have fewer variables to deal with, and so much of the hardware ground has been covered by so many before them, those making dedicated games for a console can expect fewer bugs and crashes, and a much shorter development time. Add in the fact that manufacturers are able to game massive parts discounts for building so many identical machines, and the fact that they are willing to subsidize the cost of the hardware in expectation of a large slice of the software pie, and the price of a console is going to at least initially be well below that of a comparable PC. That means more buyers, and thus a bigger audience. That’s how consoles came to dominate the gaming world. Now that we’ve established that, let us look at the Mac for a second. What is a Mac? Well, it is a computer. Unlike PCs, though, Macs are rigidly controlled. They have specific, mandated hardware specs. In essence, they are consoles, sans the gaming focus. Now follow the logic. Imagine if Steve Jobs, when decking out the first Macs, had decided to dump a little extra money into their graphics hardware. Then, maybe he found a few of the more popular PC developers of the day and gave them the same pitch I just gave about consoles. At least some of them would have bitten. I mean, the man is Steve Jobs. His powers of persuasion crossed well into the world of brainwashing long ago. Convincing a few developers to go exclusive would have been child’s play. Now you’ve got a cluster of PC developers exploiting the stable, static, well documented hardware, and producing optimized games for it. These games would look and play worlds better than anything else on the market. Apple would have achieved the perfect union of PC and console. Steve Jobs is a visionary, certainly, but what has made him so successful hasn’t been his remarkable technological prowess, it has been is marketing savvy. 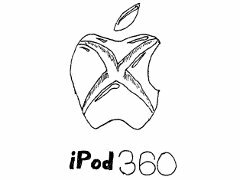 Apples cost more and do less than other PCs on the market, but they have maintained a firm grip on a segment of the market because of their gloss factor, and because of a small region of the software landscape that they do very well. Imagine, then, if that region had included games. Jobs would have created the perfect union of PC and game system, something Sony is still trying to pull off. Not only that, but what if the iPod had been gaming oriented from the beginning? The market saturation that thing has, combined with controls that aren’t shoehorned into a touch screen for no reason? Handheld gaming would be in the stodgiest of households by now. The playability of a Gameboy, combined with the availability of the app store? And with years to develop and refine! Imagine an alternate universe where this did happen. What would Mac fans be like? Would they still be the hipsters embodied by the nefarious Justin Long? (CURSE YOU, LONG!) Would the stereotypical gamer have been attracted to the glossy white game machine? Would there be some sort of an unholy combo of gamer and hipster? If not, where would the hipsters GO? To windows? Would they be bragging about their superior productivity software? Seriously, people, we need to build a time machine and make this happen. Damage to the space time continuum be damned! I want to see tragically hip, tight pants clad irony jockeys doing spreadsheet management and being smug about it!